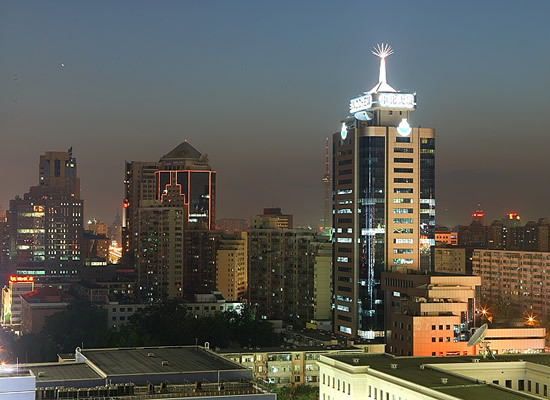 Beijing Financial Street, or BFS (Chinese: 北京金融街), is a 35 block area which offers a collaborative environment for foreign and domestic financial institutions and Chinese regulatory agencies. It is part of the city's strategic plan to position Beijing as an international center for business and finance. 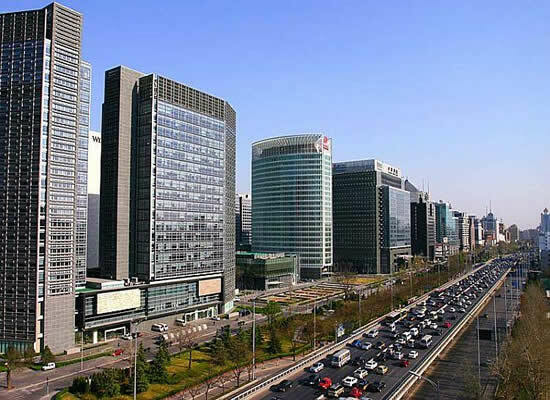 Located inside Beijing's innermost 2nd Ring Road, the area is gaining prominence as an internationally influential business and financial district. Beijing Financial Street is China's most important financial regulation center, often called China's Wall Street, although it does not include a stock exchange. Mainland China's major stock exchanges are located in Shanghai and Shenzhen. The central bank and all three national regulatory commissions of the central government are located here. They are People's Bank of China (PBOC), China Banking Regulatory Commission (CBRC), China Securities Regulatory Commission (CSRC), and China Insurance Regulatory Commission (CIRC). The financial asset of Beijing Financial Street accounts for 60% of that of the entire country with over 10 billion RMB cash flow each day and over 13 trillion RMB total asset. It controls 90% of national loans and 65% of national insurance premiums, which makes Beijing the country's largest monetary and financial market. As Beijing is emerging as the international financial center of China, Beijing Financial Street was recently positioned as the core of the financial center of Beijing according to Beijing International Financial Center Development strategic plan announced in May, 2008. Over 1000 financial institutions reside inside the district including People's Bank of China, The People's Insurance Company of China, Commercial and Industrial Bank of China, China Construction Bank, Communication Bank of China, China Securities Regulatory Commission, China Banking Regulatory Commission, and CITIC Industrial Bank. In addition, many foreign investment conglomerates; such as UBS, Royal Bank of Canada, Goldman Sachs, JP Morgan, and Bank of America. Along with its powerful commercial allure its location and offerings make Beijing Finance Street a coveted location for tourists and residents. The area provides luxury residential units, five-star hotel accommodations (including American brands, like Westin), a wide-range of upscale retail and cultural amenities and a vibrant community atmosphere. Beijing Finance street is being developed by Beijing Street Holding Company, Ltd. The architectural firm of Skidmore, Owings & Merrill; along with SWA landscape architects prepared the urban plan, landscape and the building design guidelines for Finance Street's Central Park District currently in construction with build-out scheduled for 2008. The building facilities are designed around interior courtyards, a design concept which the ancient Hutong neighborhoods surrounding the Forbidden City.